For more than 10,000 expatriates, mostly Canadian and American, attracted by a climate described as “eternal spring,” the shores of Lake Chapala, Mexico’s largest lake, have become a permanent home. Ringed by mountains, the Lake is 42 kilometers (25 miles) south of Guadalajara, Mexico’s second largest city. It lies at 1,525 meters (5,000 feet) and is 85 km. (51 mi.) long, 28 km. (17 mi.) wide. At the Lake’s western end, on its northern shore, and connected by the 26-km. (16 mi.) Chapala-Jocotepec carretera (highway), is a string of villages, each with a flavor of its own. From east to west, they are Chapala, San Antonio Tlayacapan, Ajijic, San Juan Cosala and Jocotepec. It is in this area, called Lakeside, that most expats have chosen to settle in for their retirement. Ajijic, on the north shore of Lake Chapala, has long been known as a village of artists, and has now been named as one of the best places to live or retire in Mexico (International Living Magazine, AARP). The near perfect weather, the beauty of Lake Chapala and the Sierra Madre mountains, the friendly people, the infrastructure and the relatively inexpensive real estate market have made Ajijic one of the most sought after places to retire in Mexico. 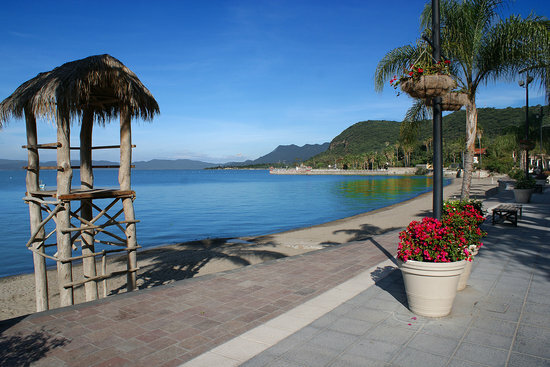 Lake Chapala is Mexico’s largest fresh water lake stretching 50 miles from end to end and 13 miles across. Small villages dot the shoreline on both sides of the lake, each offering it’s own charm. 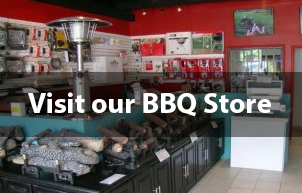 The north shore of the lake, from the town of Chapala to the western tip of the lake where Jocotepec is located, is commonly referred to as Lakeside. It is in this area you will find a large concentration of Canadians and Americans that have chosen to retire in Mexico. Ajijic has a population of about 10,000. Like most Mexican towns, the plaza is the center of town. Many an afternoon can be spent watching the children running around cracking confetti filled eggs over each others heads, the elderly Huicholes (indigenous) women selling their colorful handmade shawls, or young couples strolling around the square holding hands and sharing an ice cream. A walk along the cobblestone streets in any direction from the Plaza will take you past jewelers, artist galleries, and countless restaurants. A walk through Ajijic feels like a journey back in time, but with many of today’s amenities. For those that think they might miss the comforts of home while living in Ajijic, the city of Guadalajara is an easy 45-minute drive away. If you don’t want to drive, there are local buses that make the journey every half hour or you can hire a driver for about $5.00 per hour to show you around. In Guadalajara you’ll find all the amenities of any large city: wonderful museums and art galleries, an opera company and symphony, movie theaters showing first run movies, world-class restaurants, as well as shopping centers, department stores, designer shops, Costco, Sam’s Club, Best-Buy, Office Depot and more. The best part about living in Lakeside is that you have access to everything in Guadalajara, but at the end of the day (or weekend), you cross over the mountains and find yourself back in the peaceful, charming towns that many Americans and Canadians have come to call home in Mexico.